The cloister of the Capuchin Nuns, built between 1705 and 1711, is attached to the church of Our Lady of Mercy, in an area below Castello's walls previously used for the implementation of capital punishment. After the application of the laws of suppression for religious orders, the nuns left the convent, which became State property. After several changes of ownership, the convent was ceded to Sardinia Province of Capuchin and finally returned to Poor Clare Nuns in 1969. 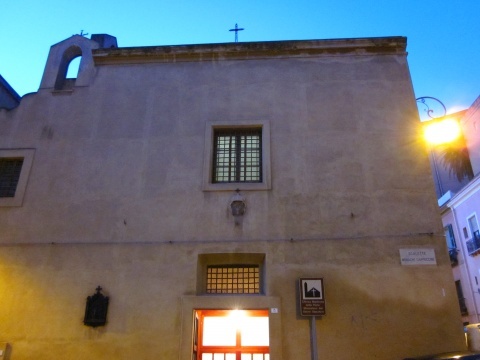 Capuchin Nuns Order was found in Naples by the will of a Catalan noblewoman, Maria Longo, who obtained the approval to establish a new monastery for women in 1536 . Capuchins spread rapidly throughout Italy. At the end of 2005 the order numbered 160 monasteries and 2,209 nuns.